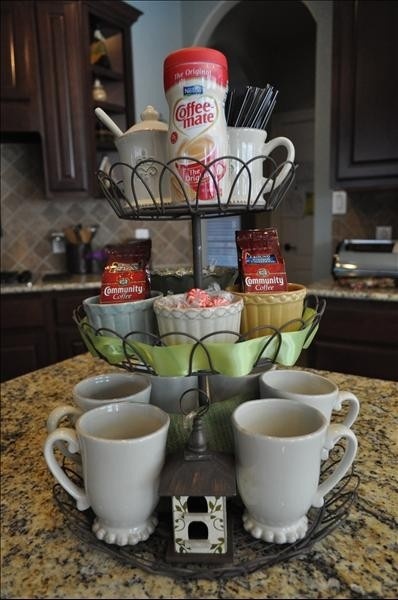 Cupcake Holder makes a wonderful coffee bar with storage for that cup of coffee. This 3 tier cupcake holder stand has many possibilities for it's use. Another way to use a single plate stand. 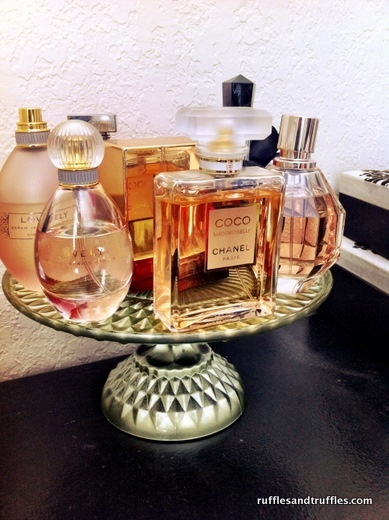 Store some of your sweet smelling perfumes, and sprays in the bathroom. 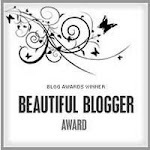 Also, would be great for your dressers too. 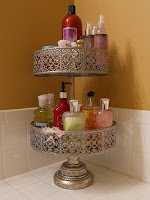 Here is another Food Stand organizer shown with organization for the bathroom. This 2 tier food stand organizer has many possibilities for use in the home. Cupcake Holder, Food Stand Organizer, and the Single Plate Stand is shown here with these pictures. 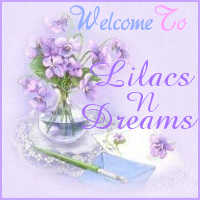 Hey, Welcome back to LilacsNDreams, and glad to have you stopping by! Above you will see pictures that I found when in roaming on Pinterest. A lot of my interest over these past few months has been with making these different stands. I adore the many ways that others also share of how they can come together, and what they can actually be considered for with use of them. Thinking outside the box is just so much fun when it comes to repurposing, upcycling, recycling, and reusing different pieces, don't you think? All sorts of different pieces can come together to make many things to accompany us with our homes with our decor, and for use too. These stands are great for organizing, serving, displaying with, and using as some of our home decor. They are great when used at the table with wedding decor, at bridal showers, and just so many things to consider for their use. Most common things you will see these different stands used for is as cake stand, cupcake stand, dessert pedestal stand, etc. Use to serve some cookies, truffles, candies, mints, cake, cupcakes, and some fruit too. Maybe consider them with your home decor as candle holders, soap dishes, in the bathroom with some rolled cloths for your guests, jewelry dish, a catch all for your change, keys, and reading glasses too. Excellent to use for organizing in your kitchens, in the bathrooms, on the dresser and vanities, in your office, and so many endless possibilities. So, for all you thrifters and junkers when you are out, and about doing your thing maybe consider finding some pieces to make some of these for your homes, given as gifts, and etc. I enjoy making pieces with endless possibilities to be shared, don't you? Hey, thanks again for sharing your time here with LilacsNDreams everyone. 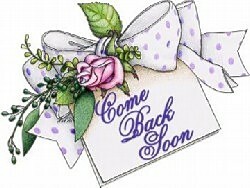 Happy to have you dropping by, and hope to see you again soon. Take care, and have a beautiful week! One of my favorite things to do is repurpose stuff and these are all fantastic ideas! I especially love the coffee bar one.